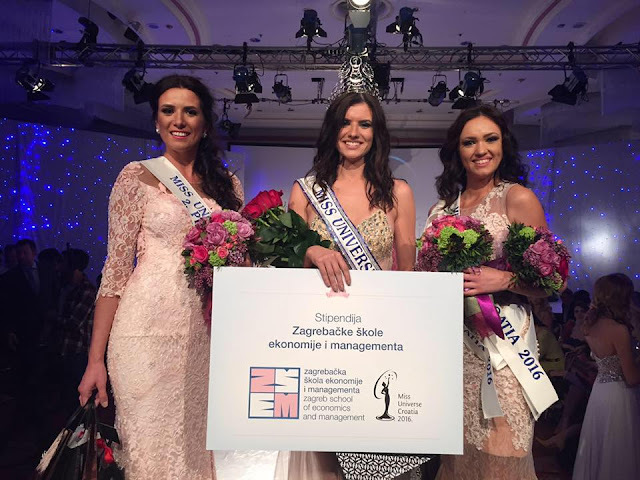 ZAGREB, Croatia - Barbara Filipović (18) was crowned Miss Universe Croatia 2016 at the Westin Zagreb on April 15. She will represent Croatia in Miss Universe 2016. Paula Čaić and Marija Kljajić finished in second and third place, respectively.